Aroma: A delicate and complex aroma of rose petal, lemon balm, peach and mineral notes. Barrel fermentation and yeast lees stirring contributes creamy vanilla and toasted brioche characters. 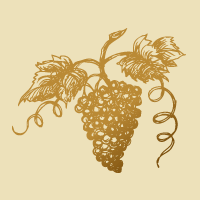 Palate:Sweet fruit is supported by a creamy texture. Peach, poached pear and mandarin essence integrate with lychee, ginger and sweet yeasty notes. This is a well balanced wine with fresh acidity and a lingering sweet fruit finish.